Probably more than you wanted to know! Felix Auto and Tire is the only car care team you’ll ever need. If you’ve never used us before, give us a try! And if you’re a current customer, take a look at our website to see all the amazing services you could be taking advantage of! We can’t say enough about the dedicated group of individuals who work for Felix Auto and Tire! These people are the backbone of our success and the reason that more clients choose us today than ever before. Our staff is certified and highly trained, with loads of experience to round out their qualifications. They’ve seen and done it all when it comes to auto care, tire services, and towing, and you can depend on them just like we do! We’re located just off of Interstate 41, up West Fernau Avenue. Our centralized location makes it easy for us to provide services to the entire Oshkosh area and beyond! Come by anytime, or call us for towing services! We’ll be there fast and give you efficient, reliable service every time. When it comes to your vehicles, you’d probably like to have everything taken care of by the same group of professional, attentive specialists. Bringing your car to us for all its regular maintenance and for repairs ensures that you’ll get consistently high-quality work, and your team will have a better chance of catching problems early since we’re familiar with the vehicle. We also offer complete towing services. If you’ve been in an accident or just had a flat, you can depend on Felix Auto and Tire to get you out of a tight spot. And if you decide to relocate, we can also help you out with a line of U-Haul equipment that’s sure to meet your moving needs. 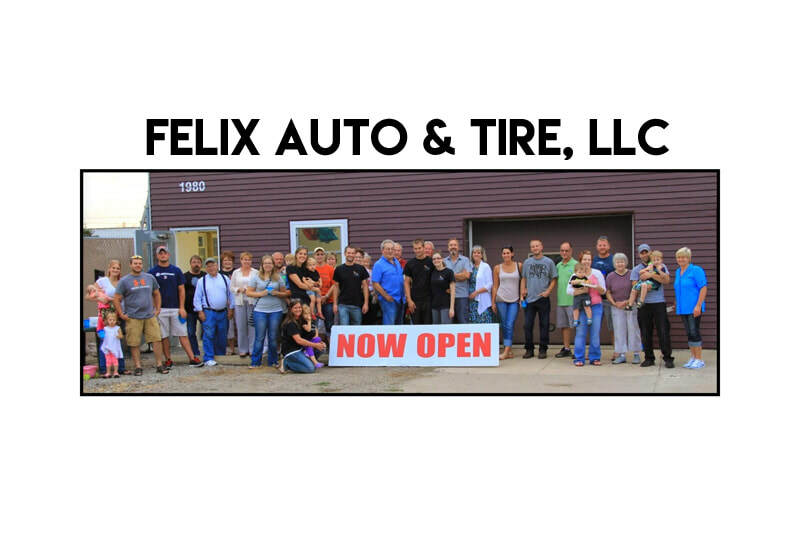 Felix Auto and Tire in Oshkosh, WI has everything you need! Call today to find out more about any of our services or to schedule an appointment.